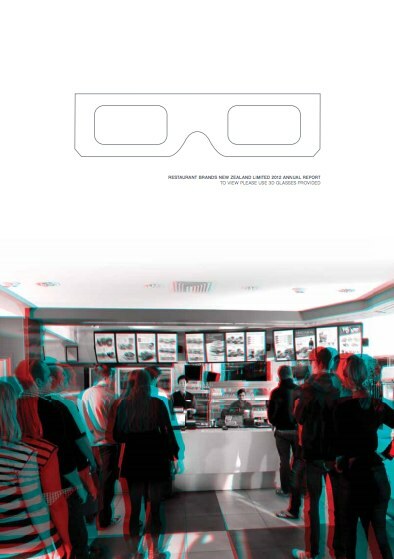 Okay, I know it’s old school anaglyph…and an annual report…for a fast food company—but this is very cool use of 3D in design. The company Restaurant Brands operates Pizza Hut, Kentucky Fried Chicken and Starbucks in New Zealand and is publicly traded on the New Zealand Stock Exchange. 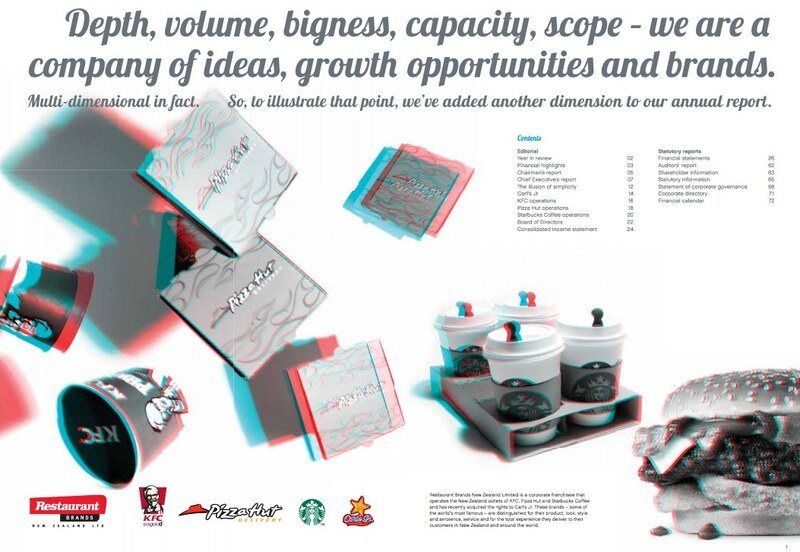 They have taken the traditional stodgy annual report—financials and all—and by applying clever design turned it into a creative, whimsical, attractive statement about the company. Click on this link to see the whole document online. And maybe buy some stock! This entry was posted in It's 3Deelicious! and tagged 3D Graphic Design by decantu. Bookmark the permalink.